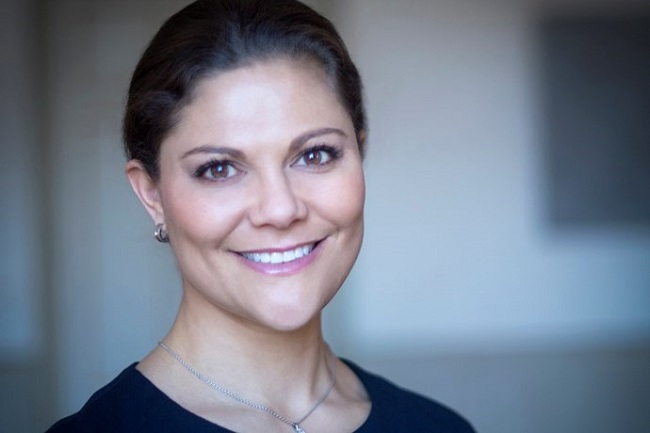 United Nations Secretary-General Ban Ki-moon has appointed Sweden’s Crown Princess Victoria as one of sixteen Advocates to promote the Sustainable Development Goals, also known as the Global Goals. The Advocates’ role will be to “leverage their unique standing and leadership” to promote the messages and encourage partnerships with governments, the private sector and civil society. The 17 Global Goals were adopted by world leaders at the United Nations Sustainable Development Summit in New York in September last year. The goals represent a commitment by all nations to work together to end poverty, build peace and secure a life of dignity and a healthy planet for present and future generations. “It is both an honour and a pleasure for Sweden that Crown Princess Victoria has been chosen for this important role and that she has accepted. This shows that both the Swedish Government and the Swedish Royal Family are deeply engaged in the 2030 Agenda, the action to achieve the Global Goals,” says Prime Minister Stefan Löfven. “I am very honoured to have been appointed as one of sixteen Advocates to promote the 2030 Agenda. The issues that the UN development goals highlight are crucial for the world. I hope to be able to contribute to this important work,” says Crown Princess Victoria in a Royal Court press release. “Crown Princess Victoria and the other Advocates have a very important role to play, serving both to inspire and press for action. These Global Goals are needed for the countries of the world to work together to stop and prevent conflicts and refugee crises. Sustainable development cannot be achieved without peace, security and respect for human rights. The Global Goals give us fifteen years of opportunities to build a better world,” says Minister for Foreign Affairs Margot Wallström. “And the work is not to be done by someone else, somewhere else. It has to be done by all of us together. The goals make great demands on all countries and all actors. It is my ambition to see Sweden take the lead and show the way,” says Prime Minister Stefan Löfven. The Advocates include singer songwriter Shakira Mebarak, renowned football player Leo Messi, actor and filmmaker Forest Whitaker and Queen Mathilde of Belgium.